In Vivian Qu’s Angels Wear White, the voice of the ‘young woman’ takes center stage against a backdrop of a dismissive society. Xiaomi, a motel cleaner, watches as a district commissioner checks in alongside two young girls, Xiaowen and Xin Xin. On the surveillance monitor, Xiaomi sees the commissioner push his way into the girls’ room and records the event with her smartphone. As the girls assault slowly comes to light, Xiaomi’s story does little good for the girls as they face their unconcerned families and a society that would rather put the blame the victim. While Xaiowen’s mother is convinced the girl was inviting the assault, Xin Xin’s parents are likewise coerced, even agreeing to a deal in exchange for not pressing charges. Director Vivian Qu is fearless in her all too true-to-life portrayal of violence against women and how both law and society so often fail to act. Chinese film director and producer Vivian Qu’s directional debut Trap Street (‘13) premiered to high praise at the 71st Venice Film Festival. 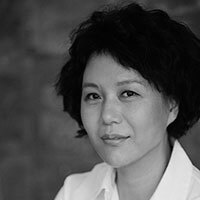 Since then, Vivian has produced Longing for the Rain (‘13) and Black Coal, Thin Ice (‘14). Angels Wear White (‘17) marks her second feature as both writer and director.